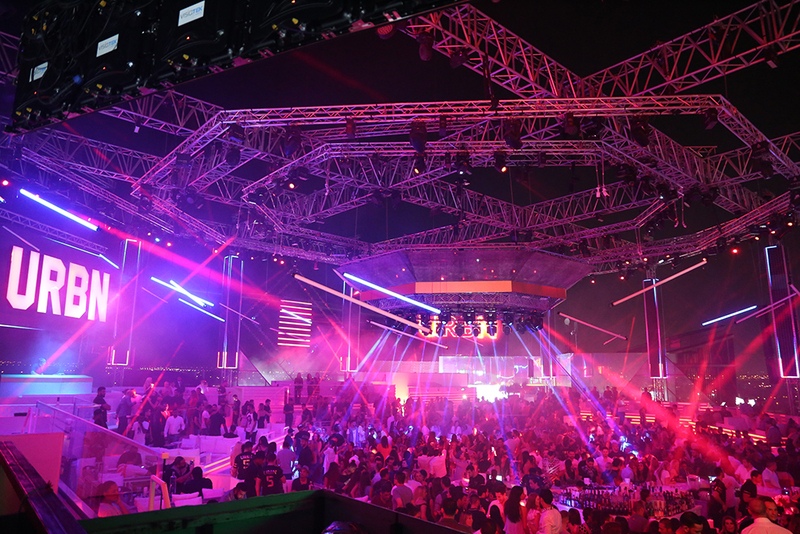 White Nightclub Dubai, located at the Meydan Racecourse Grandstand rooftop, is the only nightclub in the Middle East ranked among the top 30 clubs in the world. The club hosts three different themed nights each with its own floor layout and AV setup to create an entirely different experience every night. 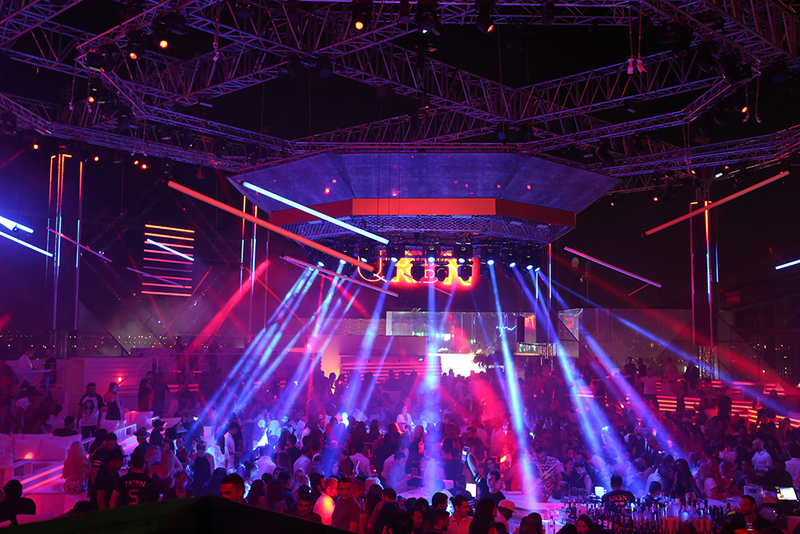 Club owners required a homogeneous, high SPL sound in the venue adaptable to the different setups. 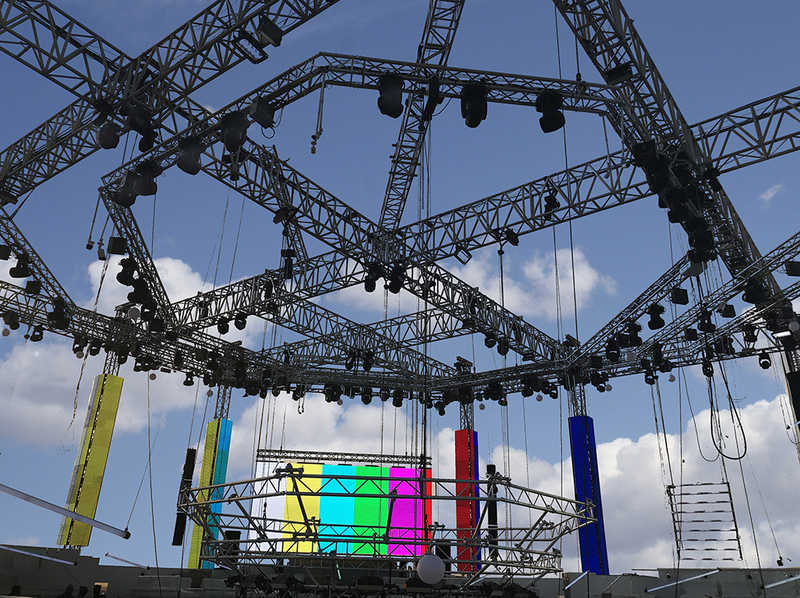 A Firenze system with 6 clusters of Firenze-KH7 loudspeakers and Firenze-KS8 was distributed in respect to the DJ booth location depending upon the night's setup: each console has an L&R cluster composed of 3 KH7 speakers connected in vertical orientation, creating a 3.6-meter-long cluster. 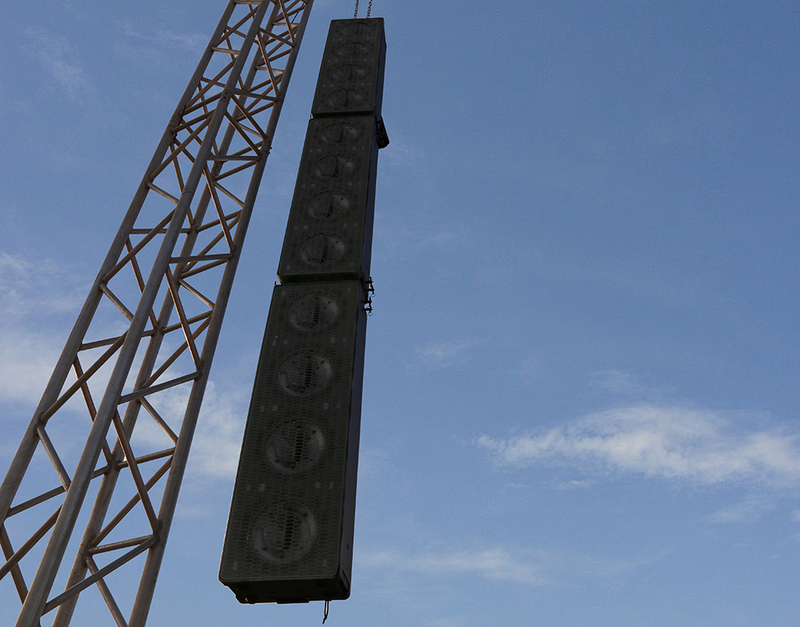 Delays were applied to the subs to accommodate the distances between the top clusters and sub and the system was tuned to create accommodating sound even at really high SPL: an average of 132dB was registered across the entire venue when playing at nominal power. The project and simulation were done using EASE FOCUS 3 and FIRmaker, creating 4 FIR filters that were uploaded in each loudspeaker to optimize the coverage and create a really homogeneous SPL and frequency response distribution all over the venue. 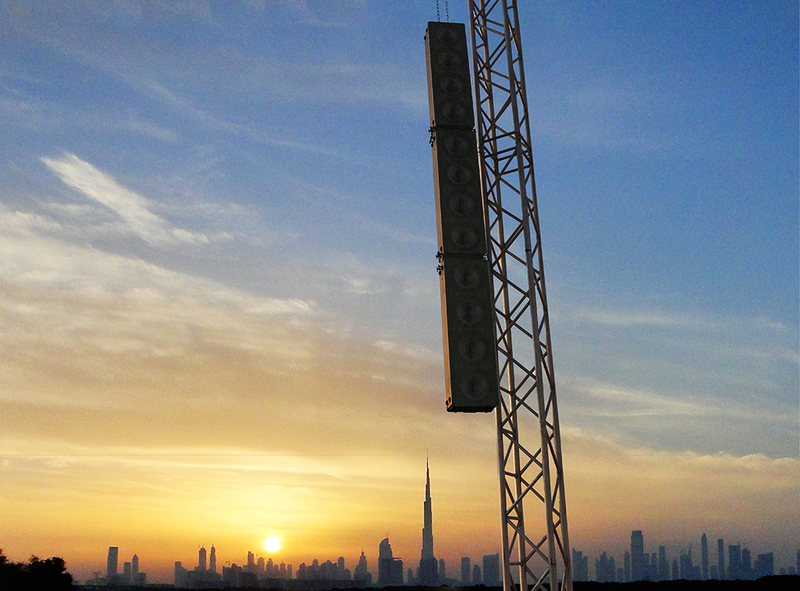 The system's sleek design integrated seamlessly into the layout and Dubai skyline backdrop. The sound in the club is like having headphones on your ears. Wherever you move to in the club, you get the same high-fidelity sound.